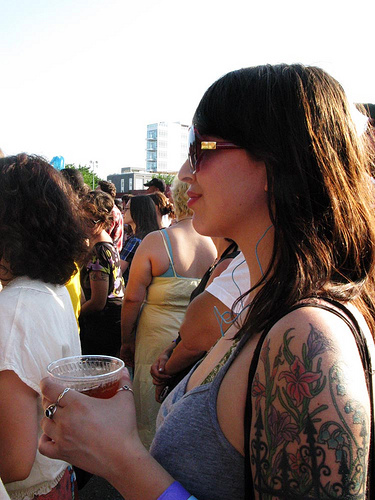 The Brooklyn waterfront in Williamsburg heats up in the summer with a stellar concert series. These shows have gained wide appeal for the hot bands on the lineup and for the unique experience of seeing a band while watching the sun set over the Manhattan skyline. The venue’s drink and food tables are well-stocked with refreshments of beer, taco, and burger varieties. 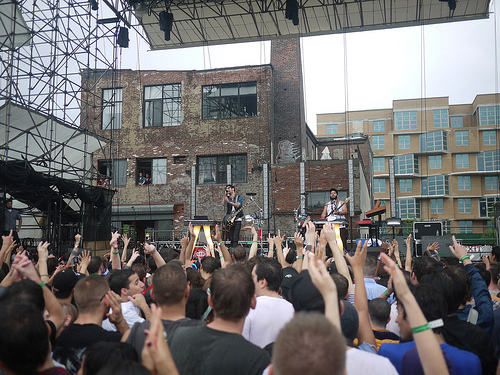 Past performers have included such indie heavyweights as New Order, Jane’s Addiction, and Gogol Bordello.The series, which has frequently shifted sponsors and locations, will this summer be hosted by the Northside Music Festival at the 6,000-capacity outdoor venue called 50 Kent (formerly known as Williamsburg Park). Kickoff shows will feature The War on Drugs ($20/$25) on June 13 and Beirut ($35) on June 14. Concert location: 50 Kent Avenue at N. 12th Street, Williamsburg, Brooklyn; L subway to Bedford Ave., or East River Ferry to North Williamsburg; Check the website for announcements on summer concert dates, lineups, and ticket sales: http://northsidefestival.com. Photo credits with Flickr Creative Commons Rights: top, Brian Pennington; middle, Barry Pousman; bottom, E-ren Chow.